The identification and permitting of suitable dredged material management areas for the Atlantic Intracoastal and Okeechobee Waterways in Florida has become increasingly difficult. This has resulted from the nature of dredging, the requirements of handling and storing dredged material, and the environmentally sensitive and rapidly developing areas in which these operations are performed. 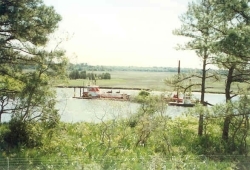 In response to this situation, the Florida Inland Navigation District (District) initiated in 1986 a program of long-range dredged material management. 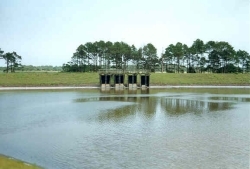 When fully implemented this program will provide a permanent infrastructure of management facilities for all maintenance material dredged from the 398 miles of Intracoastal Waterway channel connecting Fernandina Harbor in Nassau County with Miami Harbor in Miami-Dade County and for 15 miles of the Okeechobee Waterway from its confluence with the Intracoastal Waterway to the first navigation lock. 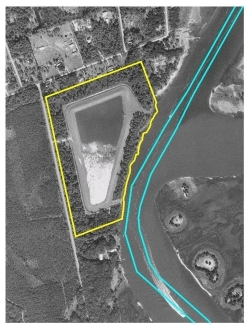 To date this planning effort for the Intracoastal Waterway has identified approximately 23 million cubic yards (cyds.) of sediment to be maintenance dredged from 398 miles of waterway channel over the next fifty years. Of this dredging volume, 12 million cubic yards of sand has been identified as potentially beach quality material and 8 permanent beach placement areas have been identified and designed for these materials. The other 11 million cyds. of sediment contains levels of silt that preclude this material from being placed on the beach. These sediments will be temporarily stored in 53 upland containment sites where the material will be selectively excavated and used beneficially. Additionally, at least 3 million cyds. of beach quality materials will be offloaded from existing sites in the vicinity of ocean inlets and transported to ocean beaches thereby returning this sediment to the coastal system. To date this planning effort for the Okeechobee Waterway has identified approximately 1 million cyds. 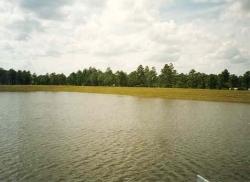 of sediment to be maintenance dredged from 15 miles of waterway channel over the next 50 years. Of this amount 215,000 cyds. is beach quality and will be returned to an ocean beach and 785,000 cyds. is not beach quality and will be managed in 4 upland sites. 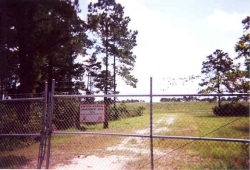 The District's program, executed in close cooperation with the Jacksonville District Corps of Engineers, comprises three main elements: (1) a two-phased plan development and property acquisition element, (2) a facility permitting and construction element, and (3) a facility operation element. 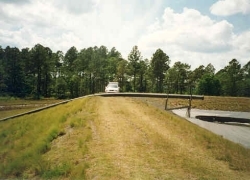 Program execution begins with the development of long-range dredged material management plans for the waterway on a county-by-county basis (Phase I of the planning and property acquisition process). 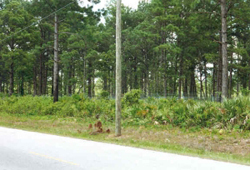 Upon finalization of each plan, Phase II of the planning and property acquisition process begins with site boundary surveys. The process continues with detailed environmental site characterizations, soils testing, topographic surveys, preliminary facilities design and site plans, site operation and management plans, and a summary of expected costs for site development and operation. All of this information is then used for property acquisition and facilities permitting. 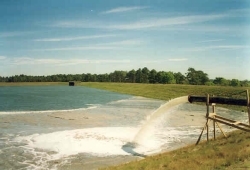 Once dredged material management needs have been addressed, resources can be directed to the control of sediment in-flow into the waterways. 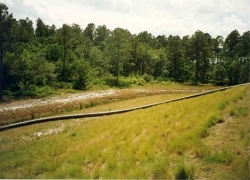 Each long range dredged material management plan includes a general identification of the source of the sediments entering into the waterway channel. 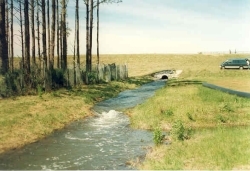 This sediment in-flow is being addressed by the District and other government agencies through cooperative projects involving inlet management, stormwater control and shoreline stabilization. 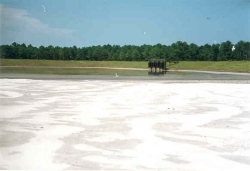 If successful, sediment in-flow reductions will save local and federal maintenance dredging funds, increase the length of time to fill the upland sites to capacity, reduce the impact of suspended sediments on the environment of Florida's waterways and increase retainage of these sediments in our beach and upland systems.